Stormwater pollution prevention can be generally summed up with a simple phrase: “Only rain down the drain!” Of course, stormwater drainage and pollution control is more complicated than just one phrase. 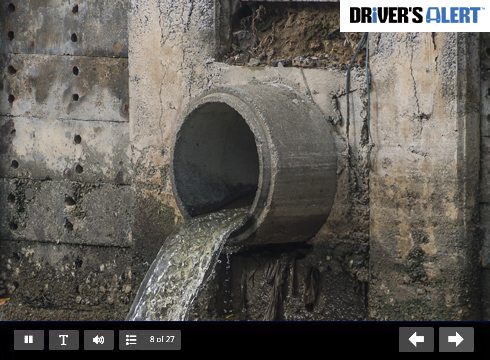 In this lesson you will learn how to identify hazards and prohibited materials, drain types, and contaminants. You will also learn new ways of looking at waste water and runoff related to your business and its environmental impact.